Where we can't leave well enough alone. 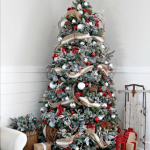 Designer Christmas Tree from the Dollar Tree! 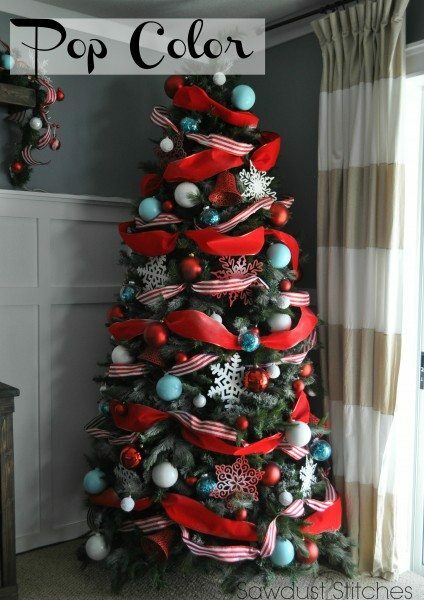 Have you started to think about decorating for Christmas ? 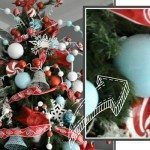 Well, I have some awesome and easy tips and tricks to decorate a magazine worthy Christmas Tree, using supplies MOSTLY from the Dollar Tree! 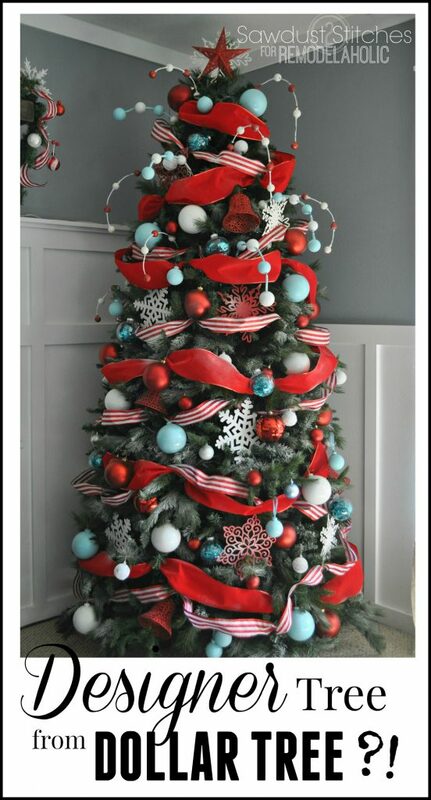 It even has step-by-step directions if you already have a arsenal of ornaments! 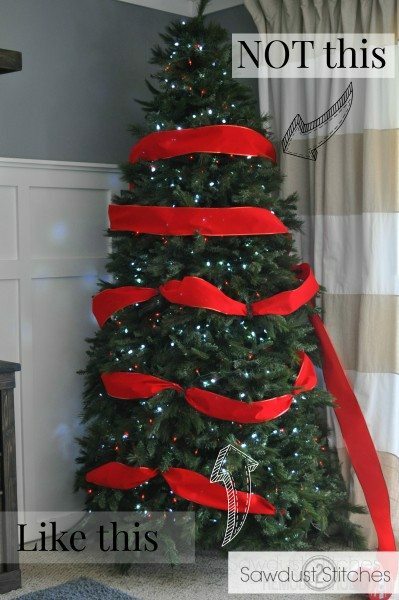 Ribbon I think is the most under utilized decoration when it comes to trimming a tree. It is also the best bang for your buck! I always get my ribbon from Sams Club. They sell a 50 yard roll for $7.00! You just can’t beat that! Like I said, I love ribbon! Another reason being, it comes in countless colors and styles! I try to use two different ribbons. It REALLY fills a lot of space for minimal cost! For example, I purchased these large plastic snowflakes from Dollar Tree, and they were originally intended to be used as window decor. I also snagged these large bells from Dollar Tree. They are fairly big, which is exactly what I was going for! Ultimately we are looking for a variation of sizes! 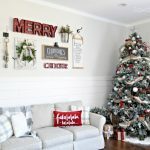 I know that it might be hard when shopping and holding a large ornament in your hand, and it is the same price as a 8 pack of small ornaments, but BELIEVE me just a few larger ornaments can really make an impact! 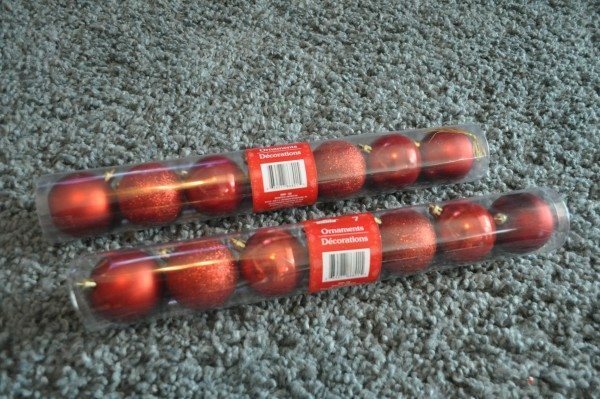 I also got my large bulbs from the Dollar Tree! They do have a fairly limited size collection when it comes to their ornaments, but you don’t need to let that stop you! Remember spray paint is your friend! Can I just say, this stuff is AWESOME! 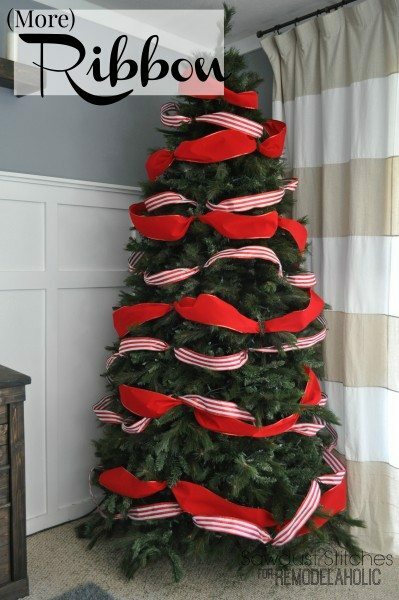 For $1.50, you can add a lot of dimension to your tree! Just try it, you will love it! 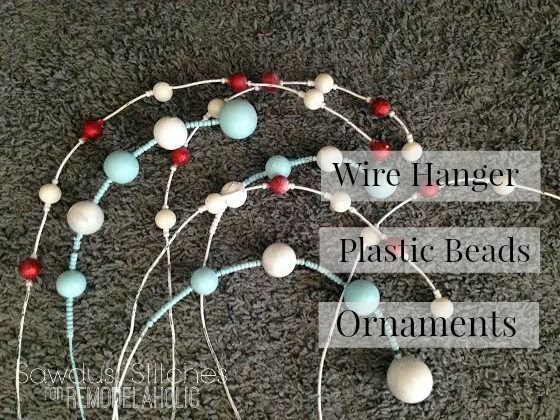 Next add your standard size ornaments. 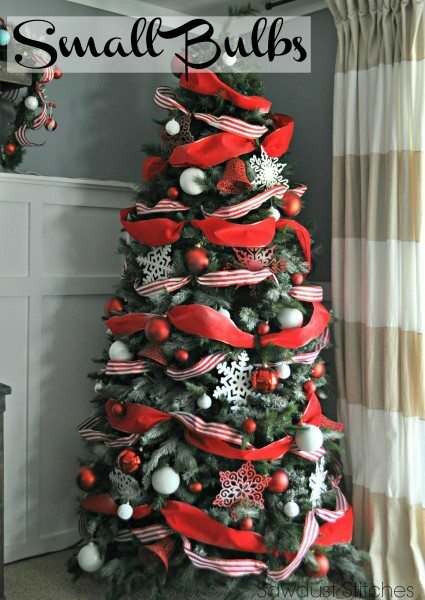 NOTICE, most of the tree is already filled, so it will not require very many of these! These are just filler, and add another size variation. Again, I purchased these at the Dollar Tree. They usually carry a 7 pack for $1.00! Booyah. Here are a couple of ideas that I would suggest. 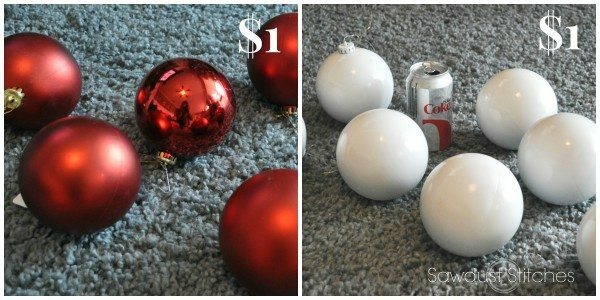 I spray painted a handful of my “large bulbs” from Dollar Tree using a seafoam spray paint. I then purchased a string of tinsel and cut it up into sections and stuffed it into clear bulbs. As is tradition, the star goes on last. I picked up a star from, none other than the Dollar Tree and bulked it up by hot gluing on of my $.50 snowflakes to the back of it. It worked perfectly. And there you have it folks. 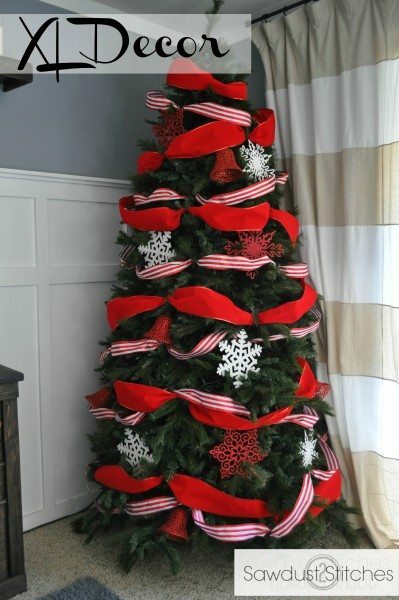 That is how I decorated our 10′ tree for less than $50! I feel like that is pretty freaking awesome! See those whimsical who-ville-ish things sticking out of the top of my tree? Aren’t they rad? Want your own ? You can make them for just a few bucks! 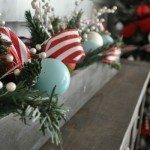 Trim a Tree Series: Spray Paint is Your Friend! 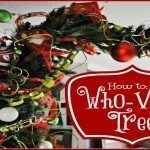 How to make a Who-ville Tree ! I love it! Great tips, can’t wait to get mine up!! Ok, I have to admit , this is awesome. I’ve been bah humbugging all the commercials and people putting up their trees already. I just think it’s crazy to talk Christmas when Halloween hadn’t even got over with. Heck, it wasn’t even technical fall yet and I was seeing Kmart commercials! I’m not a big Christmas fan. I don’t know what it is. I just dread it every year. Sometimes my inner designer will pop out and I will want to make a new craft I saw o decorate something I saw from Pinterest. But it’s usually a week before Christmas before it kicks in, and then by the time I’m finished I don’t see it because we always travel to CT every year. And I feel like my efforts are in vane. 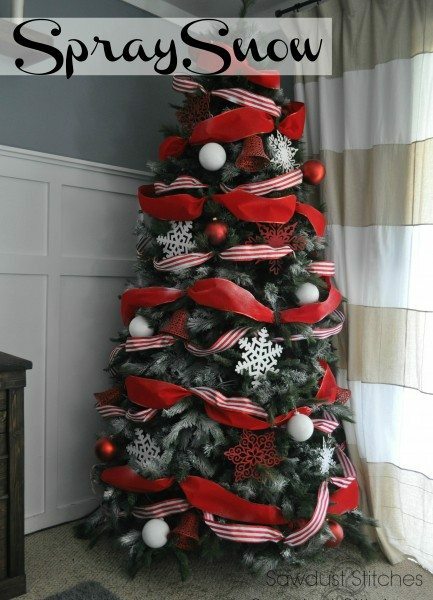 But I have to say, after seeing your tree, and how cool it looks with the snow and things, I’ve got the urge. 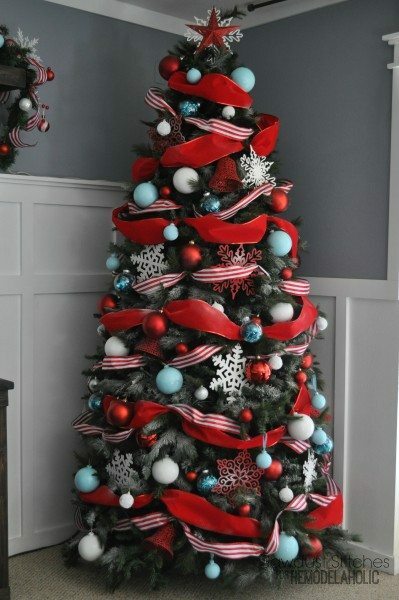 We always get a real tree but maybe I will buy a fake one just so I can have it up on Black Friday! Haha, I will take that as a HUGE compliment if you are feeling at all motivated! Maybe getting it up earlier will get you more in the spirit. haha Maybe ?! 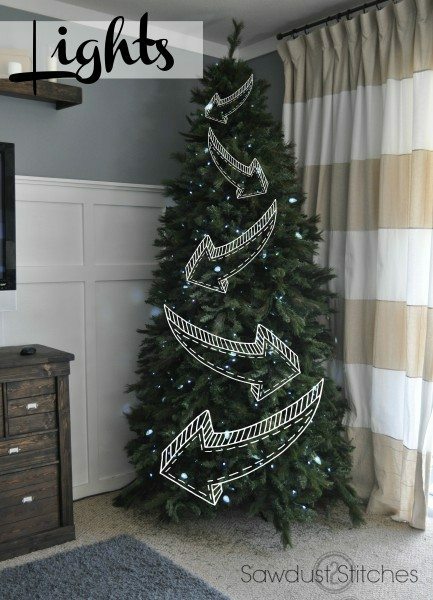 I was wondering would this work on a cheap looking tree. Absolutely! Make sure you use fame snow, that will really help too! Hi Corey. Thanks a million! 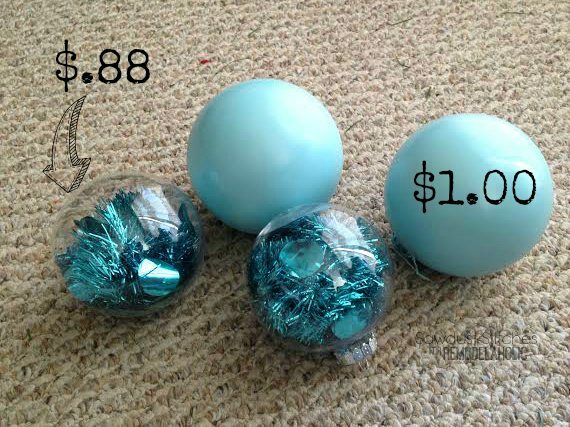 I shop at Dollar Tree every year for ornaments but never knew what to do with them. Absolutely! Hopefully this helps, best of luck, and Happy Holidays ! Wow, oh wow!!!! 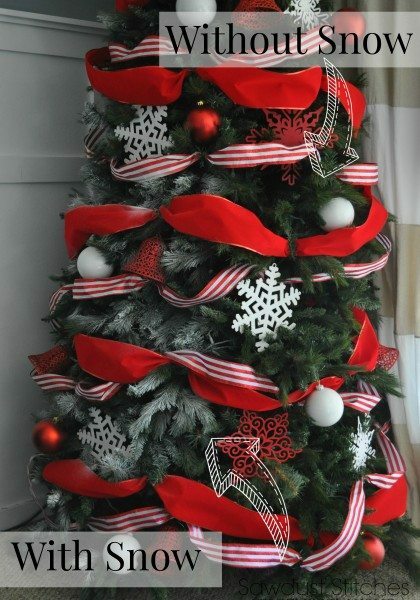 This has to be the best tree decoration that I have seen, and I’m old! 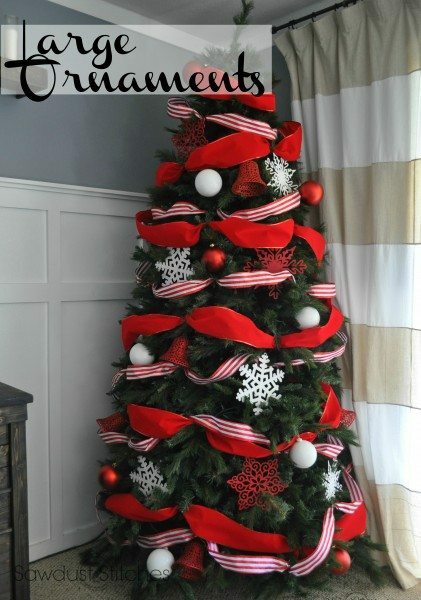 I already have alot of the items and never thought of putting the tree in the corner…..brilliant! I was searching for a fresh idea and this one has made me so happy that I just have to give it a try! 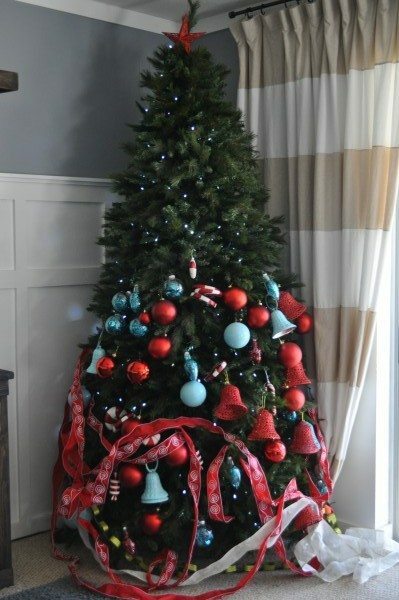 Thank you for posting your beautiful tree! Well thank you so much Lisa, for taking the time to comment! Best of luck, and Happy Holidays! 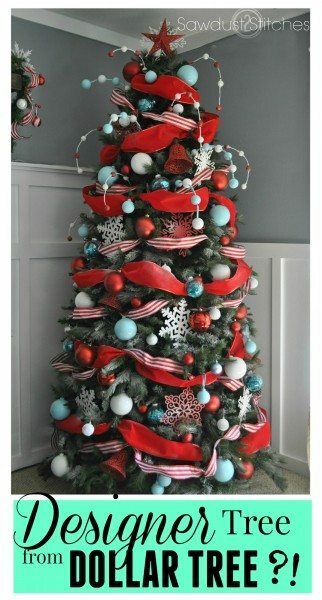 I love this tree! 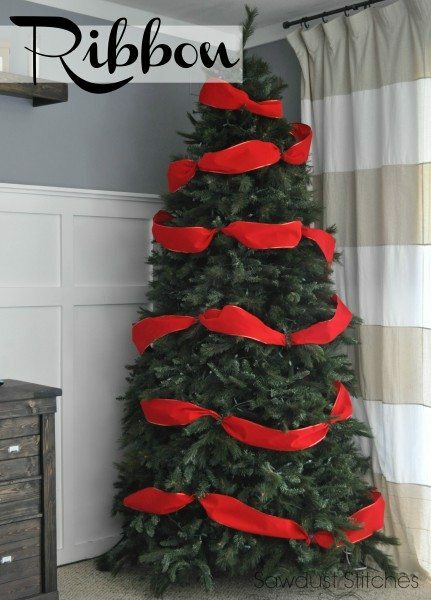 I’m trying to figure out how you get the branches to pinch the ribbon. I don’t get it! ???? If you have a wired tree, I just bend the branch itself. 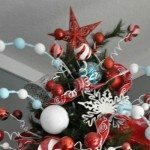 I know all fake trees are different, if yours doesn’t bend as easy, try using pipe cleaners, or even the cheap ornaments hooks that are easy to bend! The BEST Beach Blanket ever!